The Rite of Christian Initiation of Adults (RCIA) is a process that those who wish to become Catholics embark on in the presence of the whole St. Jerome community, as they join us in a continuing and deepening conversion into faith and discipleship. At St. Jerome’s one to six adults each year recently have undergone the gradual, step-by-step RCIA process of conversion, a process that follows the ancient practice of the Church. It includes several stages marked by study, prayer, and rites at Mass. 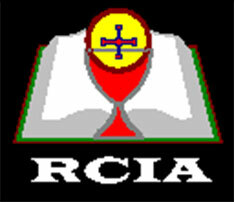 Participants in RCIA are known as catechumens. They study the Gospel, profess faith in Jesus and the Catholic Church, and receive the sacraments of Baptism, Confirmation, and Holy Eucharist. As the Catecheumens further their commitment to the faith, they reflect deeply about how Catholicism will affect their life. They learn the fundamentals of Catholicism at RCIA classes held every week. These are structured presentations and discussions based on scripture readings and other topics of importance such as the Sacraments, the meaning of the Mass, and Catholic morality and social actions. At the start of Lent, the six-week preparation time for Easter, the candidates officially are accepted as candidates for the Sacraments and are known now as the Elect. During the Sundays of Lent special prayers are offered to support them. At the Easter Vigil, in the presence of the St. Jerome community there assembled, the candidate is baptized. The Easter Vigil is rich with symbols and an extraordinary abundance of biblical texts – from creation to the sacrifice of Isaac, to the passage through the Red Sea, to the promise of the New Covenant – and is a celebration of the complete fulfilment of these ancient texts and promises in the resurrection of Christ. The candidate is immersed with Jesus into his death to rise with Him to new life. The candidate steps into the large, flowing Baptismal font at the back of the church and passes into the new life of grace, a spiritual rebirth. The newly Baptized person changes from a plain robe into a brilliantly white robe signifying cleansing and new life. The newly Baptized receives Holy Communion, and the Sacrament of Confirmation. Anointing with Holy Oil called chrism seals the initiation by the power of the Holy Spirit. From Easter Sunday until Pentecost Sunday the newly baptized reflect on what they have just gone through and look to the future as to how they can now share in the mission of Christ. They join with the whole church in a renewed awareness that life in Christ is a constant call for us to grow and to look for new ways to live the life of grace, personally and together.